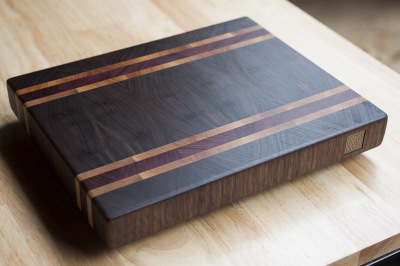 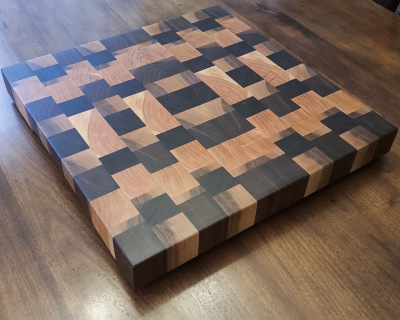 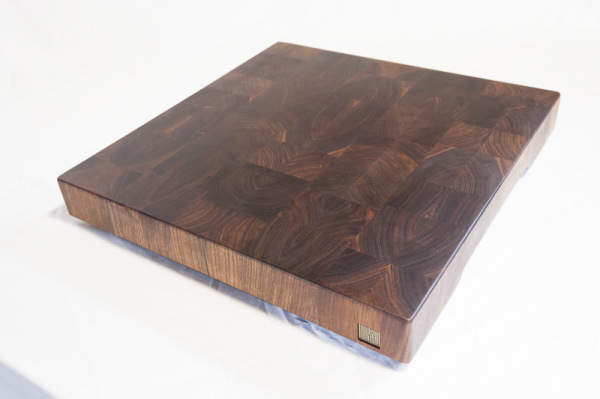 each cutting board is carefully assembled with select hardwood, bonded with waterproof, FDA approved food safe wood glue, and finished with food grade mineral oil and bees wax. 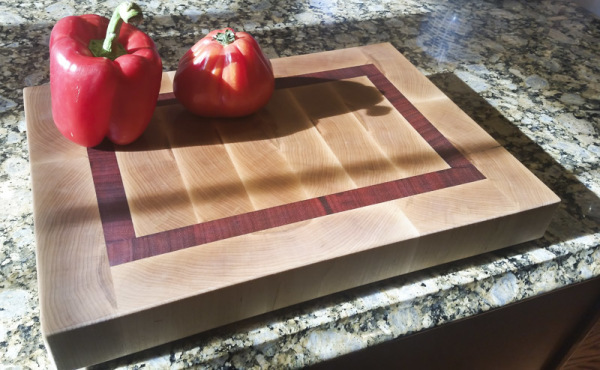 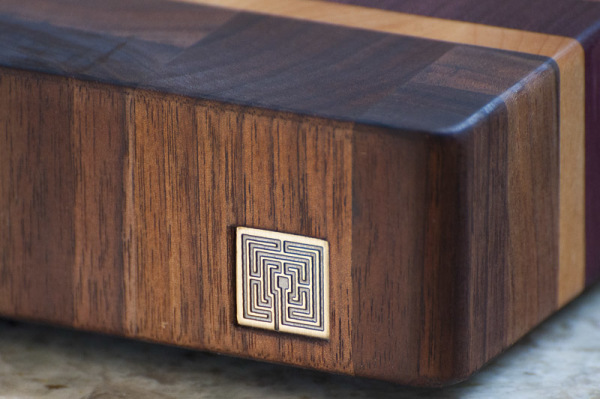 due to the vertical grain orientation, end grain cutting boards exhibit a "self healing" property, resulting in smaller, less noticable knife marks. 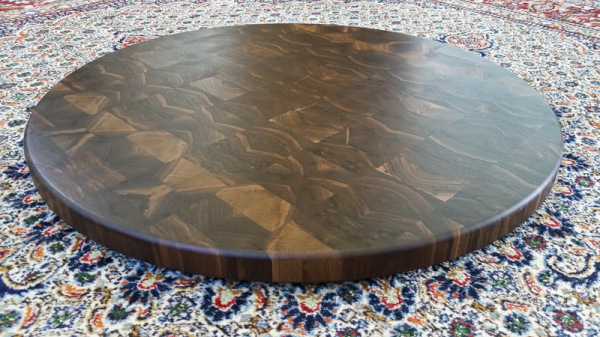 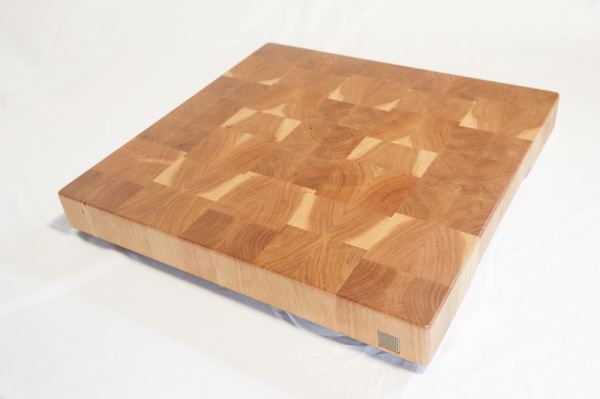 Since end grain boards exhibit fewer scars on the cutting surface when compared to plastic or more traditional wooden boards, there is less space in which bacteria can hide, providing a cleaner, safer cutting surface. 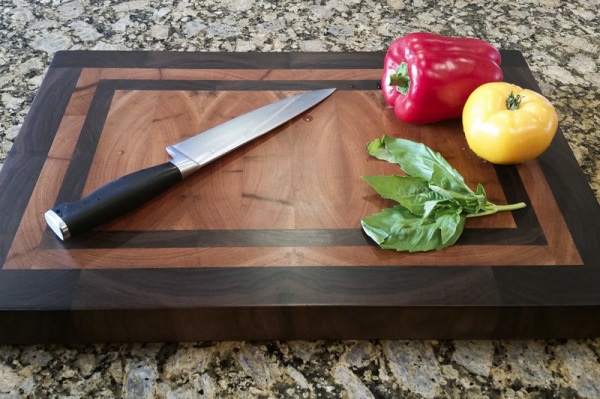 Cutting across wood grain will quickly dull a sharp knife. 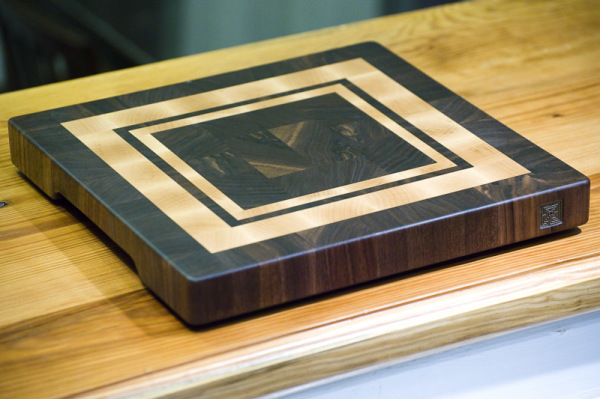 However, when using an end grain surface, the blade cuts between the wood fibers, allowing the knife to stay sharp. 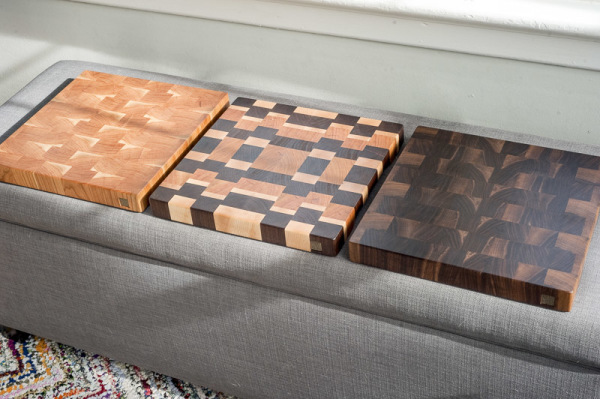 a complex finishing process including a unique wet sanding technique assures each board feels silky smooth, even after it's been washed. 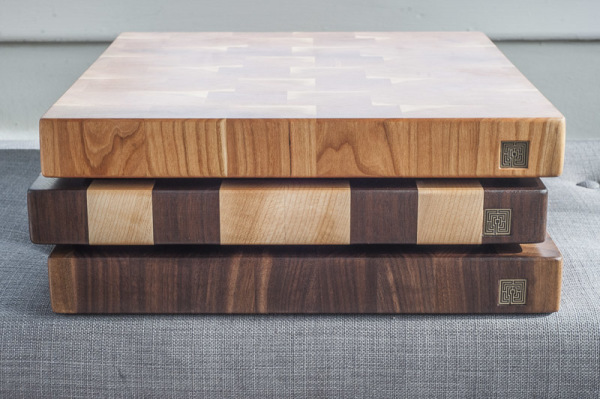 The kitchen is a gathering place for friends and family. 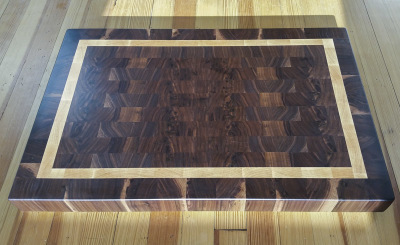 a handcrafted end grain cutting board will become a strong Accent in one of the most important rooms in your home. 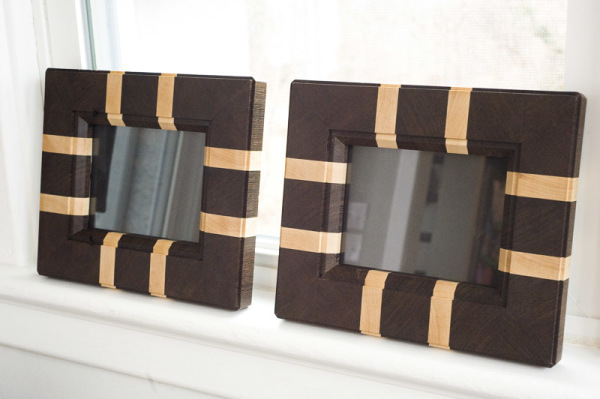 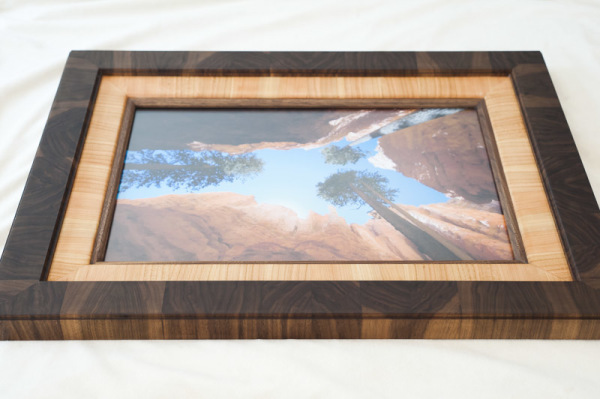 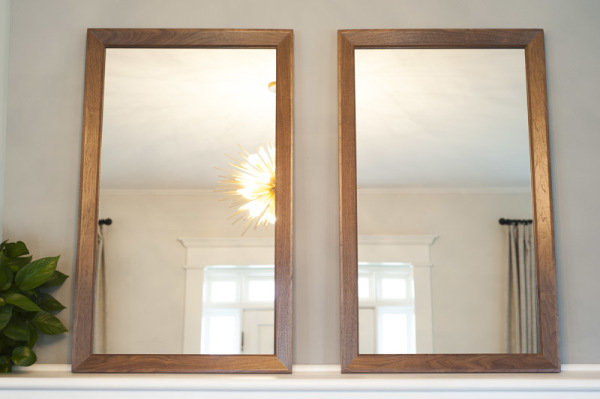 In addition to end grain cutting boards, custom made end grain picture frames and mirrors are also available. 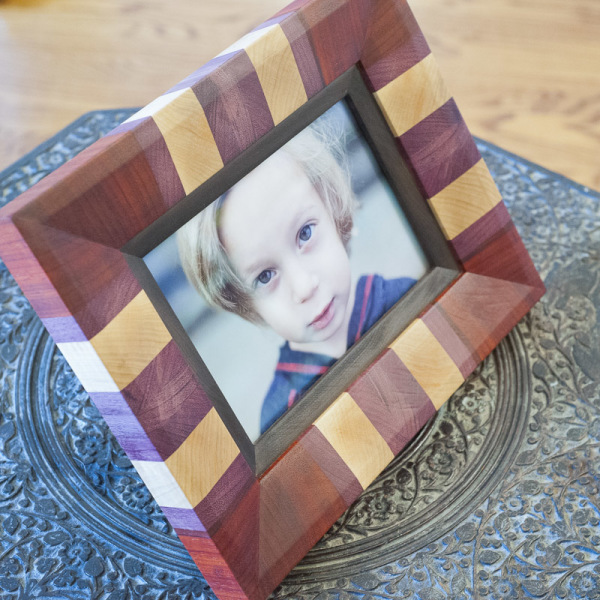 Mahogany with Walnut borders, 14" x 21"
Hard maple with padauk border, 12" x 16"
Custom picture frame, made from mixed wood species, 5" x 7"
Custom picture frame, walnut and cherry, 11" x 14"
Custom picture frame made of wenge and maple, 5" x 7"
Walnut with double maple border, 12" x 12"
Walnut with maple and Padauk accents, 16" x 22"
Custom walnut vanity mirrors, 25" x 41"
Copyright 2017 | Labyrinth Woodworks LLC | All Rights Reserved.